KYLE is an up and coming American rapper, singer and songwriter from Ventura, California. He is best known for his breakout single “iSpy” with fellow rapper Lil Yachty. KYLE began releasing mixtapes back in 2010, and has worked with a who’s who of young talent including Kehlani, Lil Yachty, G-Eazy, Chance the Rapper, Miguel, and Ty Dolla Sign. In 2015, Rolling Stone named him as one of their “Ten Artists You Need To Know”, and in 2017, he was named as part of the 2017 XXL Freshman class. The song “Silver Platter” is one of KYLE’s earlier tracks, released in 2012, and features production from producer Carnage. 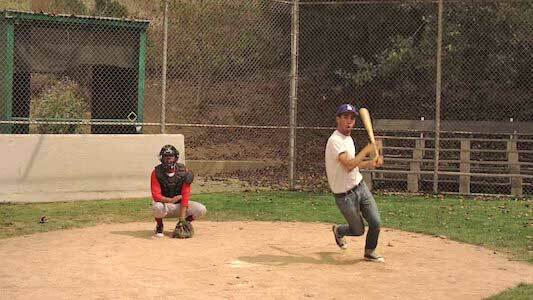 The cast of Silver Platter’s Sandlot. The song is a hip-hop track that utilizes a clap heavy beat, with some vocal samples of what sounds like doo-wop style harmonies. KYLE’s flow is infectious and full of energy. He changes speeds and vocal patterns enough that it keeps the verse feeling fresh, but it doesn’t take away from the overall mood of the song. KYLE raps about how far ahead the rest of the rap game he is, and about his game with the ladies. His verse are full of some great lines, and this song definitely slaps. 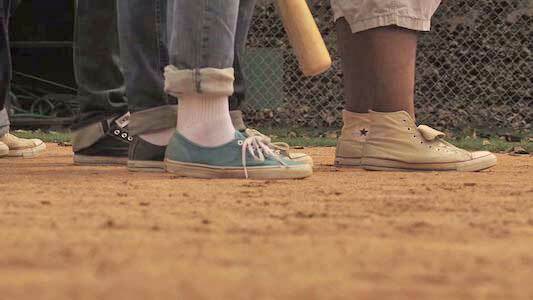 Many of the players wear chucks in this video. The video is a sendup of the classic 1993 baseball film, The Sandlot, with all the actors in the music video dressing up like characters from the movie. Specifically, they’re recreating the scene from the movie in which the Sandlot gang meets up with the Little Leaguers on the lot. Just like the movie, many of the players are wearing chucks, including KYLE wearing black chucks as Benny “The Jet” Rodriguez. There major thing that the video changes from the movie is that rather than hurl baseball insults at each other, the players insult each other’s music and rapping abilities. They then enter a battle to see who’s music slaps best, and this is where the song comes into play. KYLE’s crew proceeds to then wipe the floor with the Little Leaguers. It’s a very well done video, as the wardrobe, setting, and dialogue are all perfect matches to the original film, and the song actually works against the background visuals of a baseball game. KYLE doing his best Benny “The Jet” Rodriguez impression in black chucks. Use the links below to get yourself a new pair of chucks for your sand lot game.